BURNING TRASH TO CREATE ENERGY – THE COMPLICATED JOURNEY TO ZERO WASTE | "Global Possibilities"
CLIMATE PROGRESS A steady line of steam rises up over the hill just above dozens of brick townhouses and suburban homes. The yards are picturesque, with bright green grass, and some residents enjoy the hot, summer day to walk through the rolling hills of their neighborhood. Few would notice the steam, but those who did weren’t too concerned. This northern Virginia neighborhood sits just around the corner from an energy recovery facility in the town of Lorton — just 20 minutes south of Washington D.C. They burn a city’s worth of trash in Lorton, and use it to make electricity. The town of over 18,000 is where D.C. sends around 43 percent of the waste the city manages. Another 49 percent is sent to landfills, 7 percent is recycled, and 1 percent is composted. 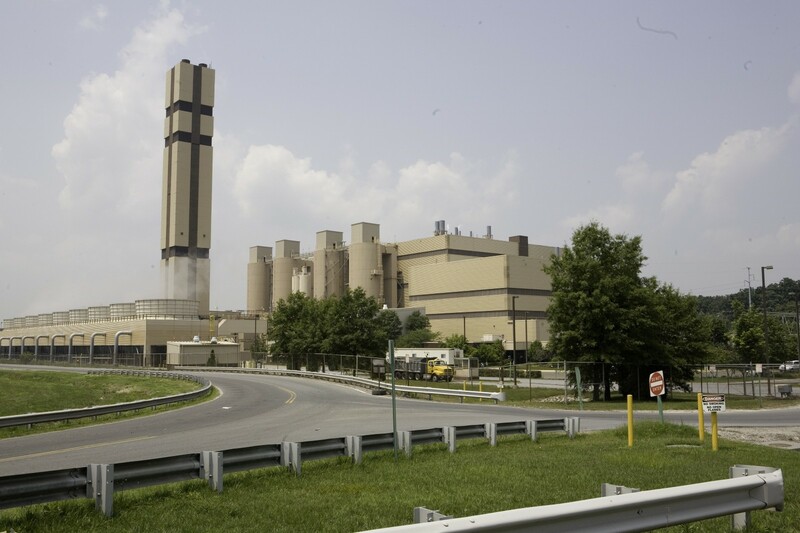 The I-95 Energy Resource Recovery Facility is privately owned by Covanta Fairfax. Inc., a subsidiary of Covanta Energy. 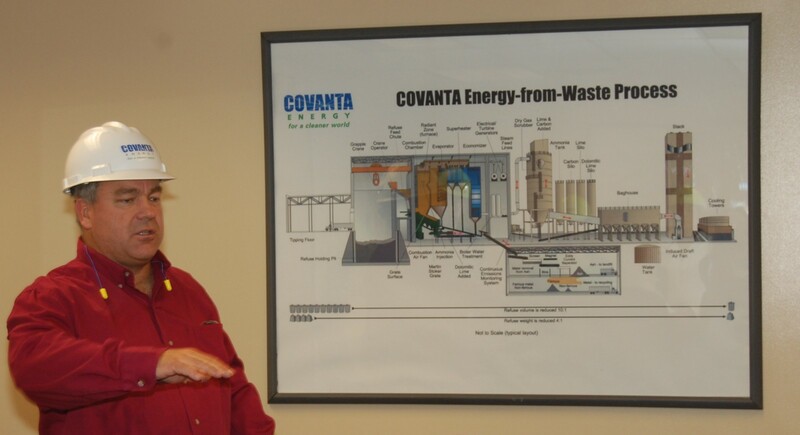 Covanta’s facility burns around 3,000 tons per day on its 23-acre site with trash coming in from Fairfax County and Washington D.C. and produces enough energy to power over 80,000 homes — far more than the number of homes in Lorton. 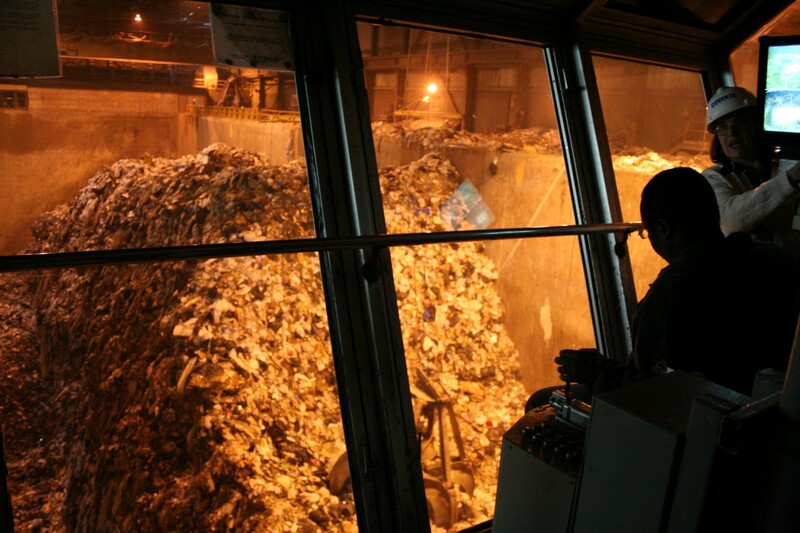 The facilities are alternately known as waste-to-energy, incinerators, or energy from waste (EfW). While around half of the trash in the United States is still sent to be buried in landfills, EfW facilities in recent years have found new ways to meet pollution controls, recycle metals, and reduce waste volume — but not without financial and potential health costs to the cities where they’re located. Landfills are also no friend to the environment due to various pollutants, such as methane emissions, which are caused by buried organic material rotting. Methane is a greenhouse gas 86 times more potent than carbon dioxide on a 20 year time frame, so this is particularly important for climate change. But now more than ever before, cities have a responsibility to solve the underlying issue: reducing the waste before it ever gets tossed in a bin. 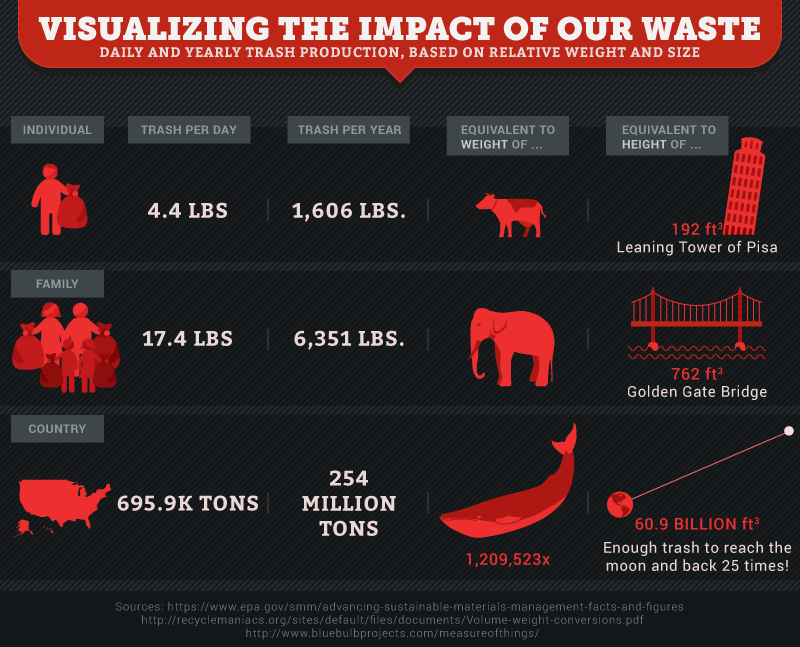 A recent report from Save on Energy called “Land of Waste” found that Americans throw away 4.4 pounds of trash per day. Around half of the 254 million tons of waste the United States produces is sent to one of the 2,000 active landfills across the country. The rest of the waste is either recycled, composted, or incinerated — depending where it’s thrown out and if the waste is managed by a private company or the government. Around 15 percent of household garbage is incinerated. In Washington D.C., residents produce around 800,000 tons of waste annually. 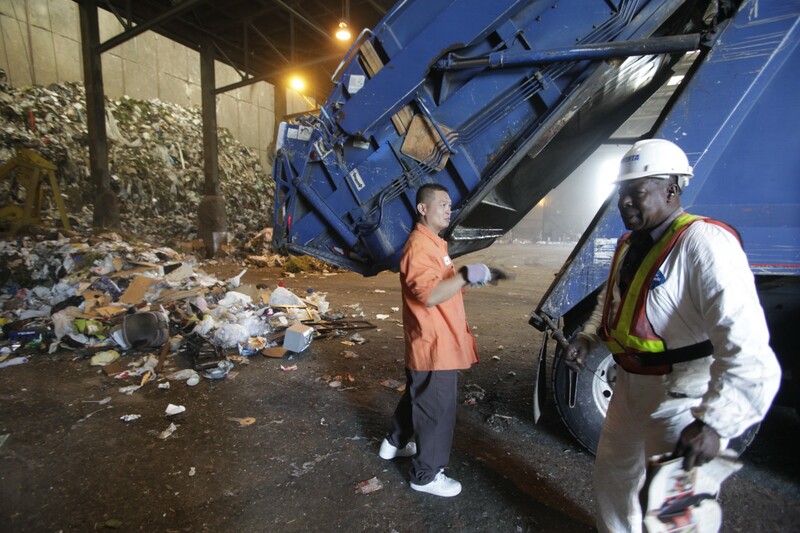 Over 450,000 tons of that waste is handled by D.C. Public Works. While the country’s average recycling rate is around 34 percent, only 7 percent of the waste D.C. manages is recycled, according to an estimate given to ThinkProgress by D.C. Public Works. A 2007 study found that 18 percent of D.C’s waste is recycled, and another figure said 21 percent of household waste is recycled. Finding the precise data is difficult for several reasons. There are fluctuations, recycling rates between households and businesses are different, and data from private haulers is limited. To tackle recycling rates and the looming trash problem, D.C. launched a sustainability plan in 2014 and passed the Sustainable Solid Waste Management Amendment Act, which established the Office of Waste Diversion among other essential frameworks. The goal is to divert 80 percent of commercial, residential, and industrial waste from landfills and EfW facilities by 2032. Annie White, director of the new waste diversion office, said the act “is a very strong framework” that is “visionary” in many respects. Another big step is to collect data from private haulers. Almost half of the waste D.C. produces is managed by private haulers. Per the Act and White’s office, starting in 2017 they will collect data on what private haulers do with their waste, which could help pinpoint recycling rates and where her office should focus their resources for improvement. While the office continues its push to reduce waste and promote recycling and composting programs, the Covanta facility in Lorton continues to burn much of D.C.’s trash. These facilities first operate by trucking the waste to the site and dumping it onto the tipping floor. It is visually inspected for unacceptable items, which are removed for recycling or proper disposal. The waste is then mixed together and transferred to the combustion chamber. The waste is combusted at 2,000 degrees, and one load can be combusted every one to two hours. Just like coal, gas, concentrated solar power, and geothermal plants, pressurized steam resulting from the process spins a turbine to produce electricity. It can also be used directly for heating or industrial processes. Remaining ash runs through a system which removes both ferrous metals (iron and steel) and non-ferrous metals (aluminum and copper), a metals recycling process that is unique to Lorton and a few other Covanta facilities. Pollution controls at the facilities make up about half of the facility, physically speaking, according to Paul Gilman, senior vice president and chief sustainability officer with Covanta. The pollution controls focus on reducing acid gases — the gases that have been formed from burning household trash. Semi-dry flue gas scrubbers with the reagent lime reduce acid gas emissions including hydrochloric acid and sulfuric acid. For particulate matter (PM), there are thousands of baghouses, which are filters that capture a majority of the PM before the steam goes out the stacks. At the Lorton facility, there is a nitrogen oxide and mercury control system as well. The steam residents see from their neighborhood is a mix of water vapor, flue gasses, as well as the remainder of pollutants that weren’t captured in the control systems — a small percentage. 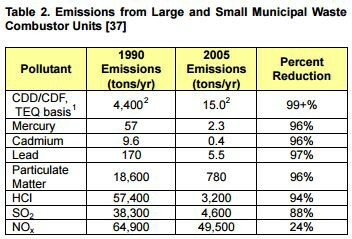 The incinerators of today — with pollution controls and energy recovery — have made leaps forward compared to the incinerators of the past, which did not have any control over combustion whatsoever. That’s in part due to the Clean Air Act amendments in the 1990s, which established the maximum achievable control technology (MACT) standards. A 2007 memo from the EPA found that emissions of pollutants like mercury, cadmium, lead, chlorinated dibenzodioxins (CDDs), dibenzofurans (CDFs), PM, and HCl have been reduced by 94 to 99 percent between 1990 and 2005. Sulfur dioxide and nitrogen oxide emissions have been reduced by 88 and 24 percent, respectively. While that leaves a percentage of pollutants which are released, utilizing the facilities with all the pollution control technology available makes EfW facilities much safer than coal-fired power plants. Mike Ewall, an environmental activist and founder of Energy Justice Network, told ThinkProgress that even controlling for pollutants at high percentages can still affect public health. Over time, that pollution adds up to a lot of toxins released close to many communities. Ewall said that waste-to-energy — the common term for the facilities — is a public relations term that is a lie. It doesn’t account for the energy that goes into creating materials that end up becoming trash, he said. Methane emitted from landfills is a huge issue, Ewall continued, but landfilling does not have to be the only alternative. With more zero waste efforts, land wouldn’t have to be used for landfills. EfW facilities don’t eliminate landfills, either. There is leftover ash that is then sent to landfills. At the facility in Lorton, ash is disposed of at the I-95 Landfill next door where there is an ongoing project to conduct methane recovery for energy. The city of Lorton is a new and diverse community. Nearly all of the residents in the Lorton Valley neighborhood that ThinkProgress spoke with had just moved to Lorton within the past year or so and did not know about the incineration facility. Many were military families who move frequently and even residents who had lived in Lorton for several years only noticed loud noises late at night sometimes — though not frequently. Bereket Tecle, an engineer, moved to Lorton in 2009, and the Homeowners Association told him that it was safe to live near the facility and what he saw from the smokestacks was steam and not smoke. When told about the ash that remained after incinerating the waste, he was concerned. He has three kids under the age of ten and said he personally hadn’t done the research into what living near a facility could do. The steam is a mix of water vapor and flue gas, which includes whatever remainder of pollutants that the control systems weren’t able to capture. Another resident, Vanessa, rents a home in Lorton and recently relocated to northern Virginia from New York City. She and her family are already moving out of their Lorton home, and much of it has to do with the amount of different industrial facilities in Lorton itself. She doesn’t notice any odd smells living near the waste-to-energy facility, but Lorton is also home to two other landfills, a recycling and disposal center, and a pollution control plant. For the special education teacher with three daughters, it’s too much trash in one small city. Living in Lorton is pricey considering all of the trash that’s sent here, she added. But even so, the trash that D.C. and the country at large produce is still mostly going to landfills. Baussan says these facilities are a source of cleaner energy than coal-fired power plants, and they can also lower the methane emissions that result from filling landfills. She points out that even with much higher recycling rates, there would still be waste sent to landfills. The percentage that is sent to EfW facilities hovers around 15 percent. “So we absolutely need to focus on recycling and just creating less waste in general,” she said. That includes improving packaging, diversion programs for organic waste, and other programs to divert more from the waste stream. 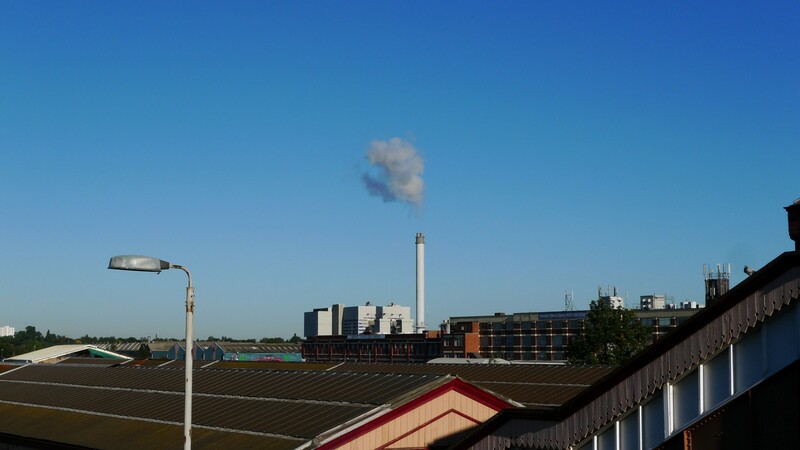 EfW plants are often sited in cities already dealing with other polluting facilities, high rates of asthma, and respiratory disease. Lorton does not have oil and gas plants nearby, but there are two landfills also in the town: one where Covanta disposes of its ash and another where construction debris is dumped. The second is closing at the end of 2018. Lorton is also a majority minority community: the population is 30 percent black, 18 percent Asian, 17 percent Latino, and 32 percent white. Baltimore is a major example of siting EfW facilities in minority communities dealing with pollution. It was largely student-led activism that halted the plan to build a facility near a school. The 20-year-old who led the charge recently won the Goldman Environmental Prize. Curtis Bay, the neighborhood where the incinerator was to be built, is already one of the most polluted places in the country. “And so do we need the additional burden of an incinerator? Absolutely not,” Maxey said. A Greenpeace publication on incineration and human health looks at several studies from the 1990’s and early 2000’s. For instance, in a 1996 study in Italy, residents were 6.7 times more likely to die from lung cancer if they lived near an incinerator. The plant now has pollution control systems in place, but it’s unclear what systems were in place at the time of the study — if any at all. The report noted several studies showing health impacts in people nearby the facilities, but they are inconclusive. Further, it’s unclear what pollution controls were in place during each study. A recent 2012 study in the U.K. found no higher incidences of cancer near EfW facilities as operated during the study, but that leaves room for questions with regard to asthma and respiratory disease. One concern is how the slow release of toxins like particulate matter and nitrogen oxide affect people living nearby over long periods of time, and further, it likely depends on how well the pollution controls are maintained and enforced. Covanta’s facility may not be turning too many heads in Lorton, but in other places — Baltimore, Detroit, and Chester and Harrisburg in Pennsylvania — communities have spoken up. Detroit’s facility — in another city already burdened by pollution — ended up costing $1.2 billion because of all the pollution control and maintenance costs it required. Harrisburg was on the verge of bankruptcy for its facility, which left it in $288 million in debt. Chester’s residents have been outspoken about the lack of pollution controls at the incinerator facility, operated by Covanta since 2005. It has a baghouse system and scrubbers, but lacks the mercury and nitrogen oxide control systems that Lorton has. This is in line with the information Chester’s environmental justice group has about its incinerator and others owned by Covanta. The reasons for not including all the controls is due to costs and potential operational issues, according to an EPA inspection report. EfW facilities themselves don’t hit the root of the waste problem. Many issues with landfills are solved by these facilities but because of this, they could potentially affect efforts to reduce how much waste Americans produce or efforts to recycle and compost. Although the facilities produce energy, they end up being more wasteful than recycling materials. 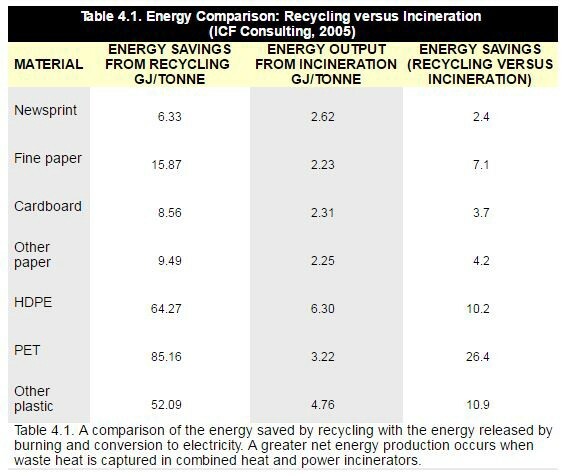 For instance, recycling paper versus burning it saves two to seven times more energy than burning it, depending which type of paper it is. Recycling polyethylene terephthalate (PET) plastic — commonly used in water bottles — saves 26 times more energy. Recycling prevents energy being used to create new materials from scratch. For instance, by recycling paper to be made into new paper, energy making paper from scratch is saved. Burning it, on the other hand, creates a fraction of the energy used to create it in the first place. There is also an incentive to burn more trash in EfW facilities. To make incineration economically viable, some estimates say that at least 1,000 tons of garbage need to be burned everyday. These expensive facilities, on average 100 million dollars, rely on waste to survive. “Incineration is not about waste minimization because it needs waste in order to operate,” she added. Covanta recognizes this, but holds that EfW facilities don’t affect recycling rates. Gilman, the chief sustainability officer at Covanta, clearly sees how EfW facilities can play into a waste system that could dispose of the leftover waste even after 80 percent diversion goals are reached. However, burning waste is the easy way out, and ensuring the focus stays on recycling, composting, and redesigning products to reduce waste overall are an important part of a zero waste plan. D.C.’s sustainability plan for waste says it could “potentially” include “waste-to-energy conversion,” but White, the director of the waste diversion office, said that per the 2014 Act, landfills and EfW facilities are both at the bottom of the waste hierarchy. “[The law] puts landfill and waste-to-energy on the same level,” said White. Landfills and waste-to-energy are both “at the bottom rung of the least preferred” methods of waste disposal. The EPA announced goals of cutting food waste in half by 2030 last year, which was in line with the U.N.’s goals and an international protocol set in June. Can An International Standard Help End Food Waste? White said the District plans to launch food waste drop-off opportunities in all eight wards next year and offer curbside collection to collect organics for either composting or anaerobic digestion. “Organics is about 30 percent of the waste stream, so to get to 80 percent [diversion], working on organics solution is one of the key components,” she said. Recycling and composting often have cost savings and job creation benefits. If D.C. residents recycled 30 percent of what is thrown away, the District could save over $250,800, according to a 2008 study. Nationally, recycling and reuse employs almost 1.5 million jobs, and waste management employs a quarter million. D.C. has seen some recent successes when it comes to zero waste. There are 28 compost cooperatives through Department of Parks and Recreation’s community composting program, and 39 D.C. public schools have established cafeteria composting programs. The District has banned polystyrene (Styrofoam) as of January 2016, and by 2017, all food service packaging in restaurants must be compostable or recyclable. Update: A previous version of this article said Baltimore was the third most polluted place in the country. In a follow-up conversation with Ahmina Maxey, she said Detroit is the third most polluted place in the country. Sydney Pereira is a former intern at ThinkProgress.